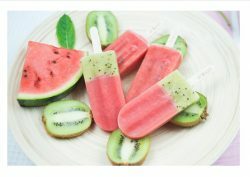 With big flavour, gourmet food and tasting sessions and situated within the stunning Battersea Park Foodstock is calling out to all foodies to come and tickle your taste buds with delicious dishes, sip on refreshing drinks and listen to Summer-Folk music in the glorious sunshine (we have our fingers crossed already). Do your bit to support local businesses in the area, from local award winning brewery Sambrook’s to Graveney Gins in Tooting and The Butcher and Grill (who kept the air miles down by strolling over from the perimeter of the park), there is a huge pantry of deliciousness in Wandsworth for you to explore and support. British craft ales are a big deal, have you ever had the opportunity to try over 20 in one place? Now is your chance to try the very best of British craft ales at Sambrook’s very well stocked bar. 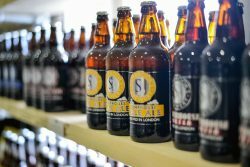 Since 2008 Sambrook’s Brewery have been brewing quality cask, bottle and keg beer at their brewery in Battersea. They use traditional brewing techniques alongside carefully selected ingredients, which their brewers blend to create exceptionally tasting British beers. Check out the ‘Building a Beer’ workshop hosted by Sean Knight, the Head Brewer at Sambrook’s Brewery on Saturday and Sunday – perhaps the coolest job we have heard of. 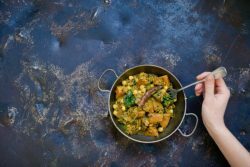 Take in the delicious smells of the Spice Box the plant-powered healthy, fresh Indian food bursting with flavor (recently voted as one of the best street food in London by Time Out). Floating across the breeze will be the smoky wood fired oven at Fundi and if you need a sugar fix, pop over Bee-Loved honey products. Are you one of the millions that suffer from or are affected by allergens and/or intolerances? Don’t worry we have that sorted, not only have we made sure there are vegan and vegetarian stalls but we have teamed up with Kafoodle so you can see all the ingredients, the nutritional advice and allergy information for each stall. All you have to do is download the free app today and search for Foodstock to start planning your visit. But that is not all, we also have workshops, cooking demonstrations and tasting sessions from some of the most incredible eateries in London plus the beautiful bandstand will be jam packed with music put together by The Bedford (Balham). Sound like your kind of weekend? We look forward to seeing you there. Thank you to our media partner Time & Leisure for their support.